Art meets Eros, opera meets techno. Everything is possible in Swinging Berlin. Anna Aliena’s fourth EP (release date: August 15th, 2014) deals with a fiery affair between two artists. Although the story ends in disappointment, this record conveys a declaration of love for art and music. 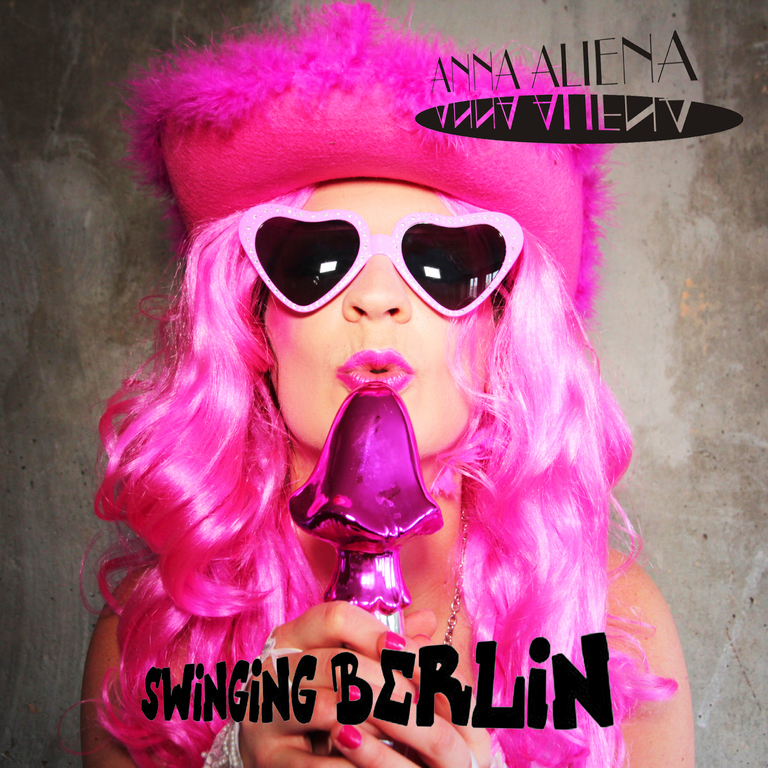 On the opening track “Swinging Berlin” Anna mixed the first half of the Habanera from Georges Bizet’s opera Carmen with electronic techno beats, profane speech and orgasmic moaning. Meanwhile she staged herself as an artificial pink character holding a phallic object in her hands.